Her carriage was drawn drawn by two ostriches. 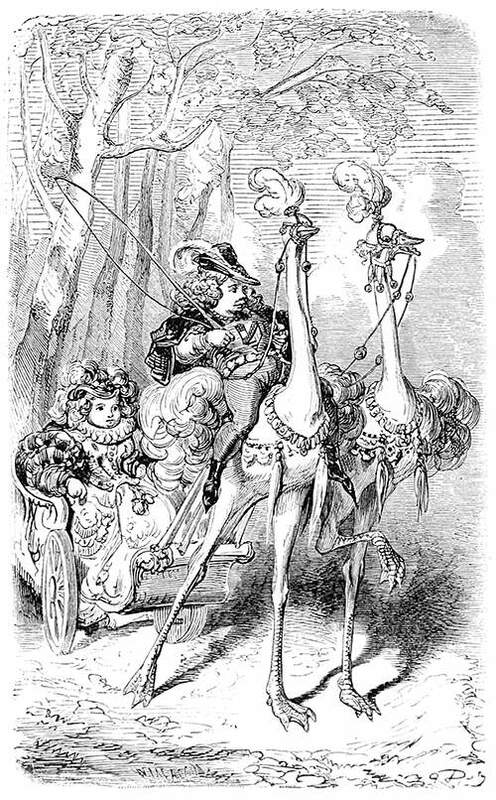 A young boy wearing a feathered hat and holding a whip rides one of two ostriches pulling a carriage in which a little girl is sitting. 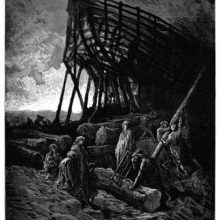 The caption reads in the original French: Sa voiture était attelée de deux autruches.